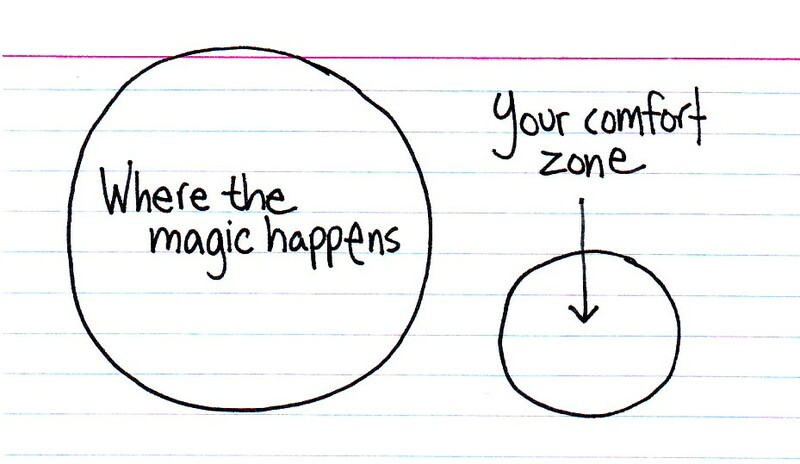 You step outside your comfort zone. – While I was abroad in Argentina, I was terribly lonely. I would call home often, in tears, bemoaning my lack of friends, poor classes, and my host mother’s terrible cooking. But when my mom offered to fly me home early, I resisted. Some inexplicable force inside of me insisted that I stay and see the journey through to the end. There were many nights spent alone watching movies and drinking Malbec, but given the chance, I’d do it all over again. It was worth it just for the growing pains (and all the other reasons I’m about to list). La Guía T - Don't leave home without it. You learn how to navigate (without a GPS). – Unless you’re from New York, Boston, DC, or Chicago, it’s unlikely that you’ve had to decipher a maze of mass transit maps to get from point A to point B each day. Living in Buenos Aires helped me become an expert navigator. Over the course of six months, I gradually figured out which type of transit was the quickest, cheapest, and safest at any given time of day. 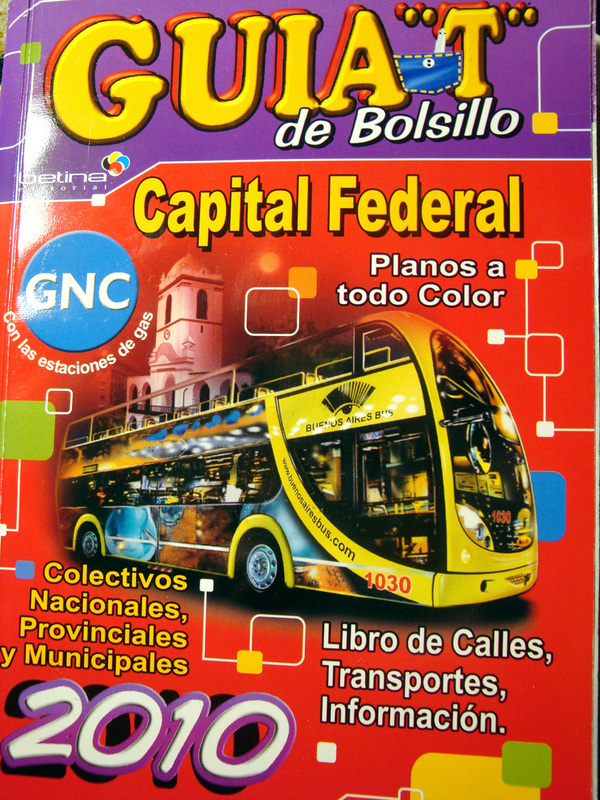 Navigating without a car necessitated a Guía T (the Buenos Aires bus bible), a pocket full of change (buses didn’t accept bills or cards), a good pair of walking shoes, and the ability to “deal” in extremely claustrophobic situations. I also had to adapt quickly to unexpected change. Case example: On a midnight ride home from a friends’ flat, my bus driver pulled over and got out to make a call at a pay phone. When he returned, I asked him, “Sir, are we going to get moving?” He promptly replied, “No! I’m done driving for the night.” Aghast, I de-boarded and ran as fast as I could to the nearest well-lit street corner to hail a cab (you’re not supposed to hail cabs in BsAs, but I wasn’t about to walk home at that hour). Then my cab driver proceeded to yell at me, “What the heck are you doing out alone at this hour of the night? In this neighborhood? And hailing a cab?? ?” I told him my story, he cursed under his breath, and then asked me where he was taking me. Thank goodness for nice cabbies driving in dark neighborhoods. In Argentina, I cost more than a bottle of Malbec. You learn to speak a new language (i.e., you become a more capable global citizen). Whether you’re a life-long linguist or you don’t speak a word outside of English, going abroad, you’re bound to learn hundreds of new words and expressions that will not only serve you while traveling, but that will also lead to a better understanding of your native tongue. Not to mention, the slang that you pick-up abroad is down-right entertaining. Some of my favorite Spanish expressions that I’ve heard so far are: Qué pijo! – Hostia! – En una boca cerrada no entran moscas. – Hablando del Rey de Roma… – Que te folle un pez! – La madre que me parió! You meet interesting people who will change your life for the better. 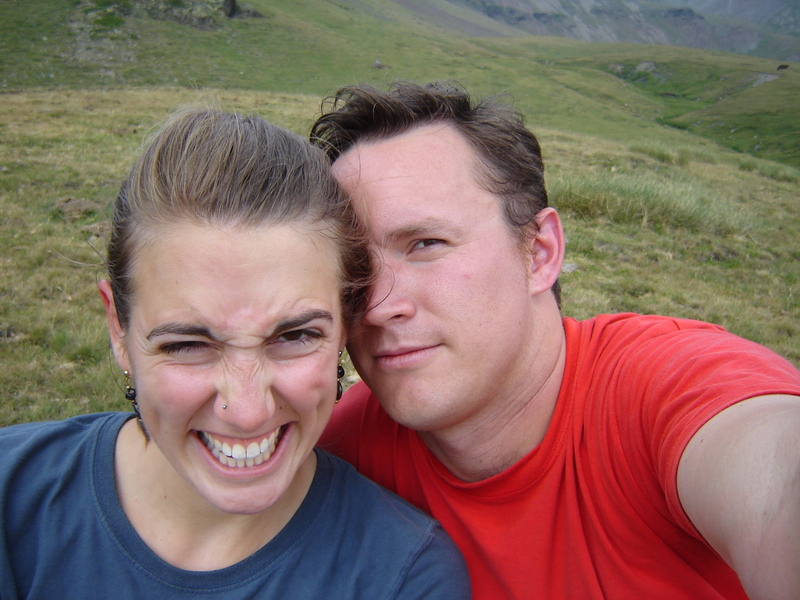 – As many of you already know, I met my husband while working abroad in Spain. That pretty much seals the deal for me on why going abroad is worthwhile, but if you need more evidence, three of my best friends to this day are students that I met while they were doing an exchange program in America. Two of them traveled all the way from Germany for my wedding (shout out to Jan and Flo). The third is traveling all the way from Argentina (by way of Ireland) to visit me in DC next month (shout out to Caro). If that’s not dedicated friendship, then I don’t know what is! You learn to respect others and their chosen way of life. – While I was in Bolivia with an Argentine mission group, I spent a lot of time working to rebuild a school just outside of Oruro. At night, the temperature would drop below freezing, and there wouldn’t be any heat. We’d wake up in the morning stiff from the cold. 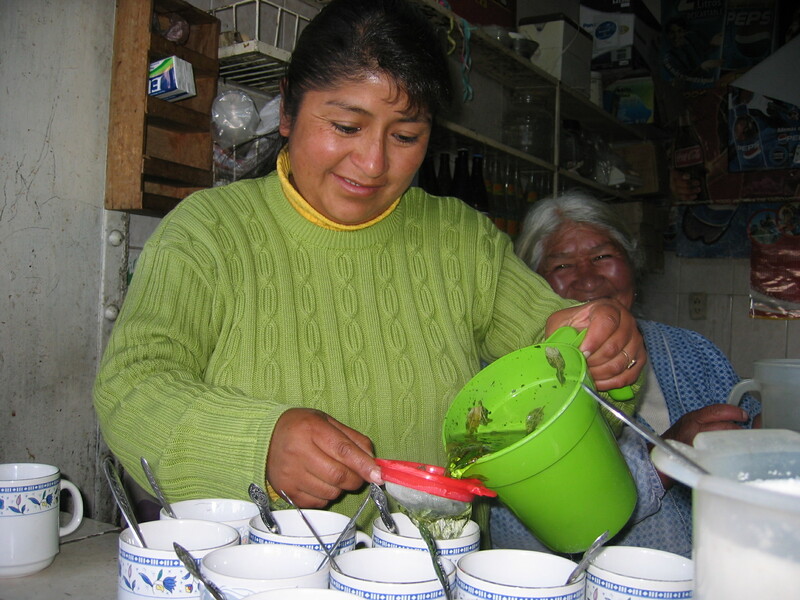 To warm us up, the people would brew an herbal tea made from coca leaves grown locally. After we finished our work on the schoolhouse, the townspeople performed a religious ceremony to bless the building and offer thanks to the pachamama (Mother Earth) for the gifts she had bestowed upon them. Among the offerings that they burned were coca leaves. Being a part of this community for a short period of time and observing this sacred ceremony helped me to understand how central the coca leaf is in Andean culture. The Western media often perpetuate a stigma about coca leaves (which are submitted to a rigorous transformation process in order to create the narcotic cocaine). Farmers are portrayed as drug traffickers and the religious and healing properties of the herb are lost in cultural (mis)translation. Without this experience, I may not have ever known about the positive uses of this herb. You do a little soul-searching and get to know yourself better. 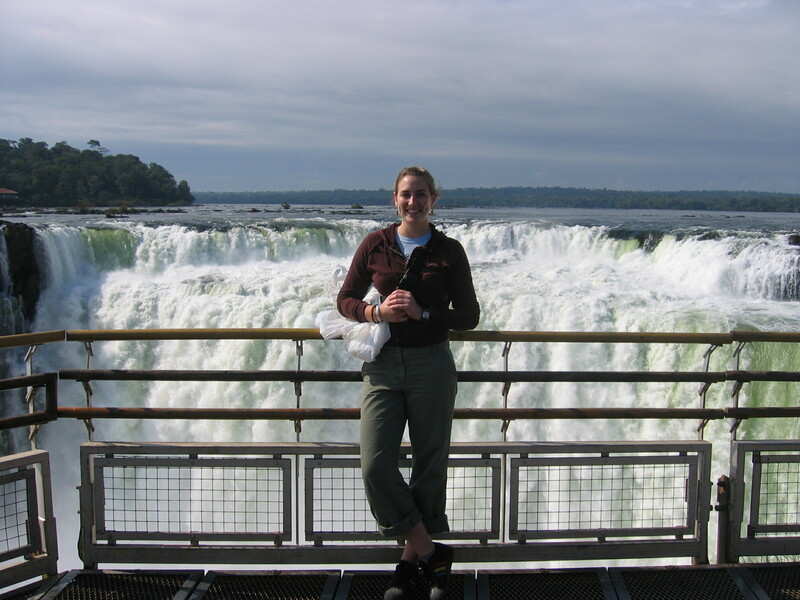 – As an extrovert living abroad, I quickly learned that I didn’t like to travel alone. Who wants to take pictures of monuments with no people in front of them? Who wants a vast collection of mediocre self-portraits taken by random passersby? Not I! I want pictures of friends and family making goofy faces in front of monuments and landscapes. For me, the people create the memories of place. You amass lots of fun stories to recount at cocktail parties later in life. – The inspiration for this post actually blossomed out of a recent conversation between a colleague and I at a faculty holiday gathering. We discussed the merits of traveling abroad and our future plans to do more of it. I also recently discovered that my boss’ son will be going abroad on the same program that I attended. You never know how your experiences will serve you or others later in life. What has your experience been with travel or study abroad? Why do you think it’s important? Please share your thoughts in the comments section. Four years ago, Christian and I met in Madrid, Spain. We were both working for Putney Student Travel at that time. At first glance, sparks flew and birds chirped, and that was the end of our single lives. 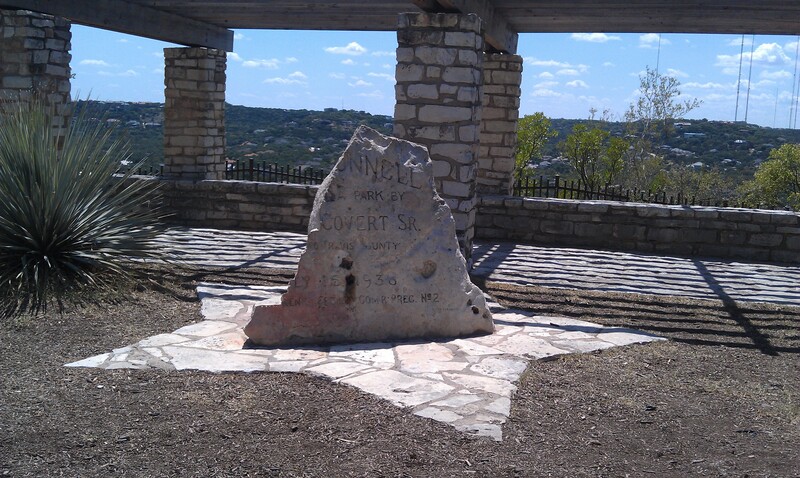 When we parted ways in the Madrid airport in August 2007, we had already made plans for my visit to Austin — then his hometown, and soon to be mine. 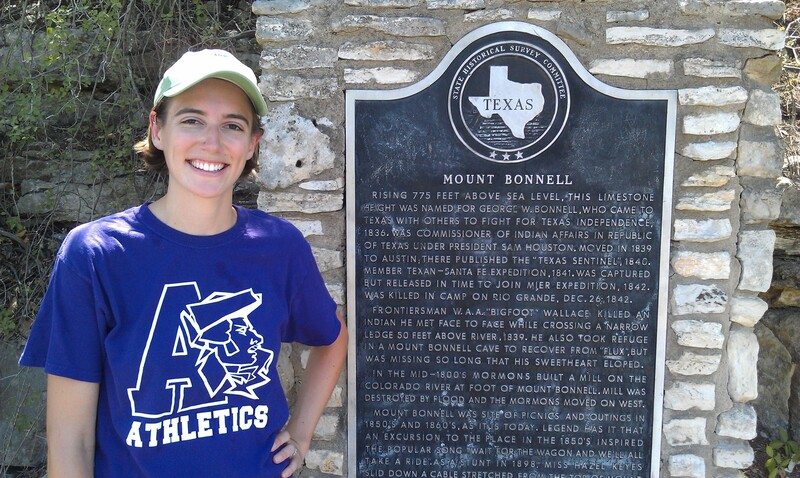 Upon arriving in Austin, the first thing that Christian did was whisk me away to historic Mt. Bonnell. 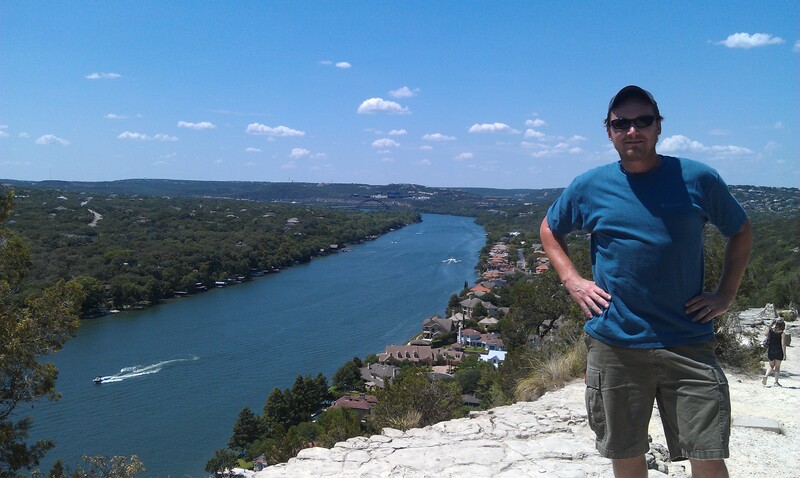 We “climbed” to the top — it’s only 780 feet above sea level — and shared a picnic as we admired the gorgeous view of the Austin skyline on a warm October afternoon. It seems fitting then that four years and one wedding later, Christian and I visited Mt. Bonnell on our last day in Austin. (As I type, we are driving to Richmond, VA, where we will teach Spanish at St. Christopher’s and St. Catherine’s schools.) This time we made the climb on a hot July afternoon without a picnic in tow. But the view was still as spectacular as ever. 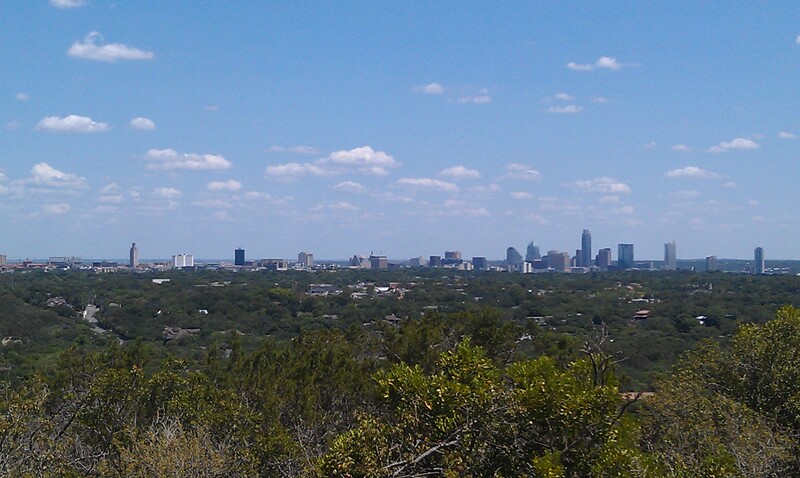 Farewell Austin, we will miss you.